I thought these cute monsters were appropriate given that tomorrow is Halloween. Anybody else's kids going absolutely crazy tonight with anticipation? 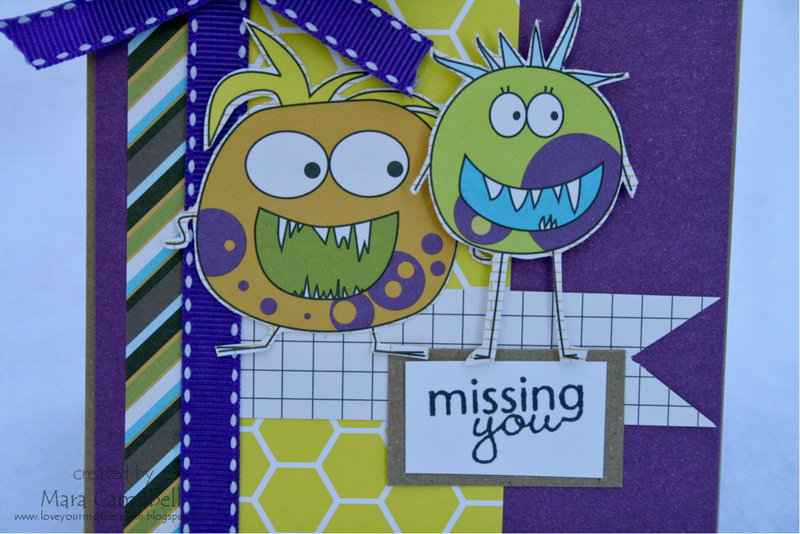 These are from the Monster Stew line by Jillibean Soup. I added a Unity sentiment and some stitched purple ribbon. Happy Monday! 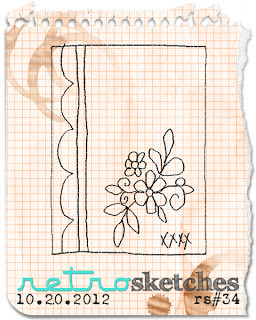 I recently discovered a new challenge blog called CAS(E) this Sketch. 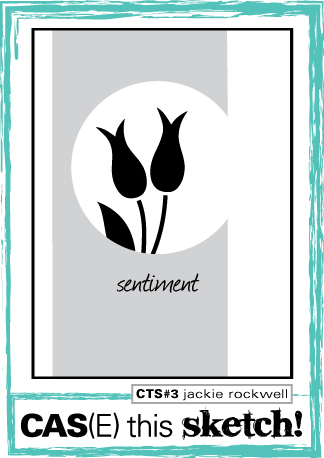 I decided to play along this week...here is sketch #3. Isn't that a fun sketch? This is what I came up with. 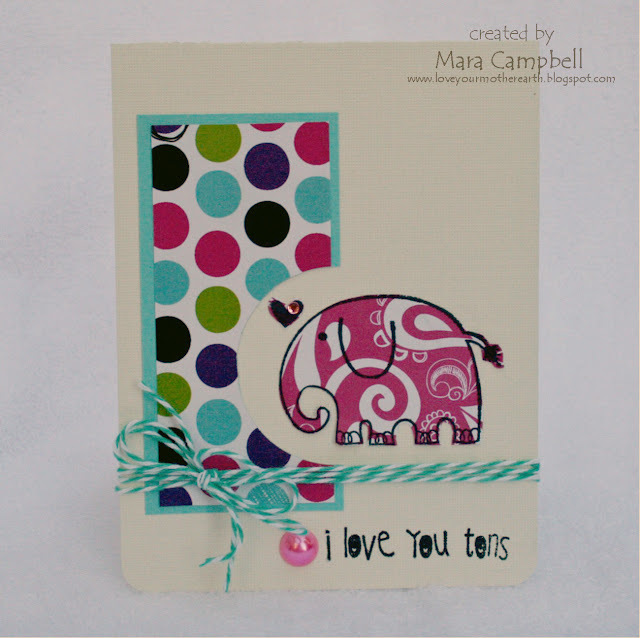 I love this elephant stamp from Unity and pulled it out of hiding to make this card. 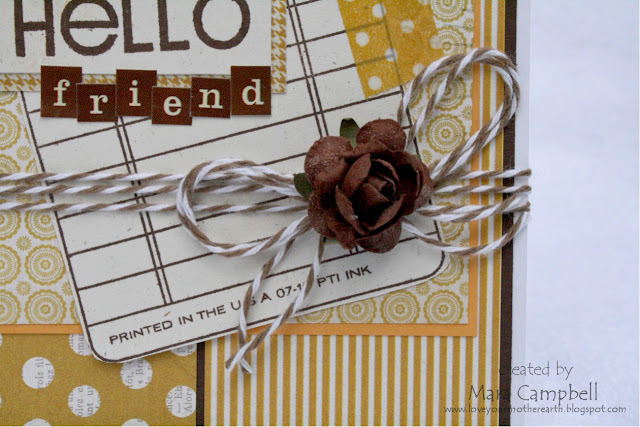 I used the Doodle Floral papers by Momenta, the stamp and sentiment are from Unity and the baker's twine is from The Twinery. And the pearl is from the stack of stuff on my desk I haven't put away yet. 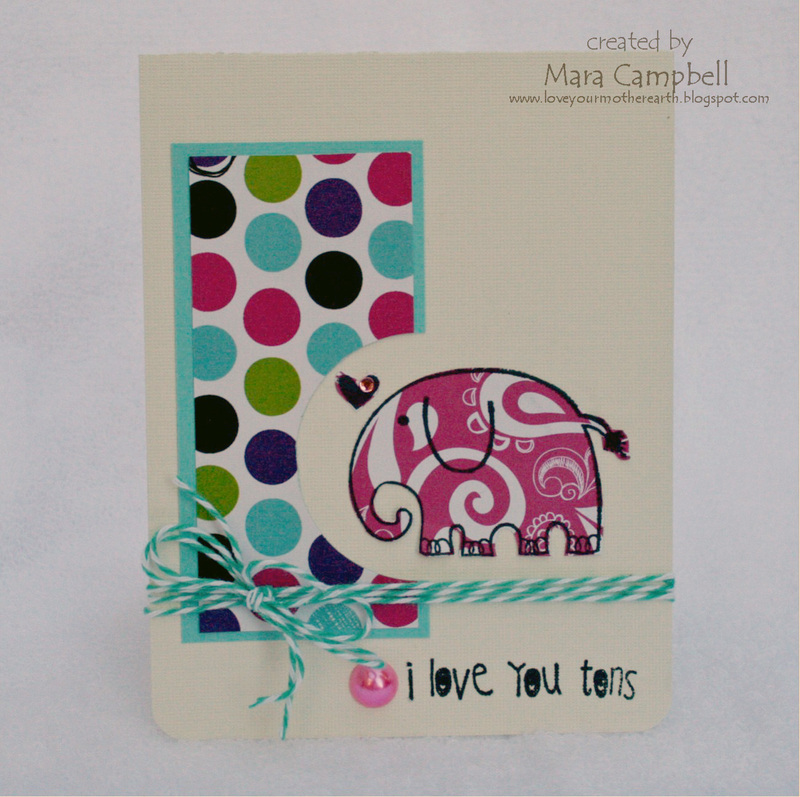 I stamped the elephant directly on patterned paper and fussy cut him out. He's such a cutie! I hope all you East Coasters are staying safe in that crazy storm. Thanks for stopping by today! Hi Friends, Happy Saturday! It's been super windy and hot here today. I was happy my kids had 8am soccer games because i'm sure the 12:30 games were miserable in this weather. I have one card to share today and I made it using the scraps from my Card Kit Club kit. You can see the other 3 cards I made HERE. Beth sent out a fantastic kit filled with My Mind's Eye papers plus tons of great embellies. I just love the colors of these papers! The yellow is so pretty, I can't stop using it. I also discovered that my washi tape matches perfectly and I'm having fun playing with that new product. I need to remember to dig that tape out more often. I added a big brown flower with a tied baker's twine bow to finish the card off! 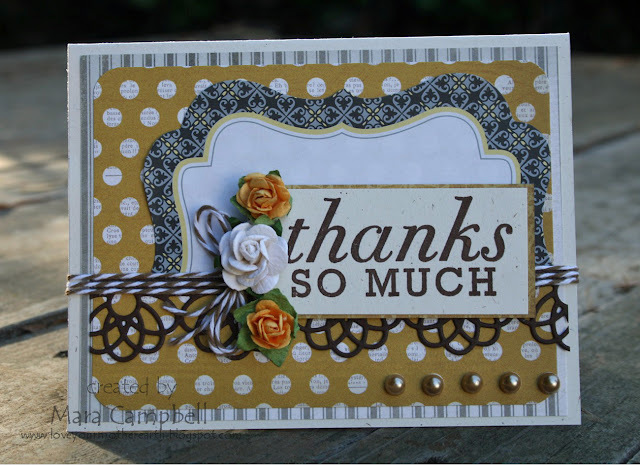 I hope you are having a fabulous Saturday, thanks for stopping by! 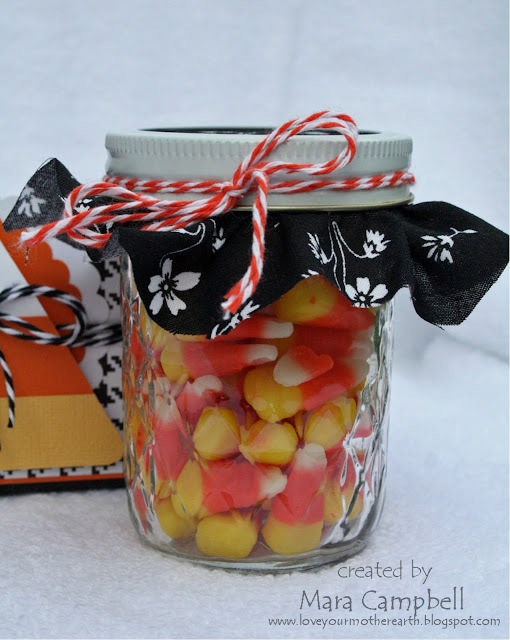 Who loves candy corn...raise their hand! As you can clearly see, mine is not in the air. I'm not a big fan of candy corn but I have a friend who loves it. 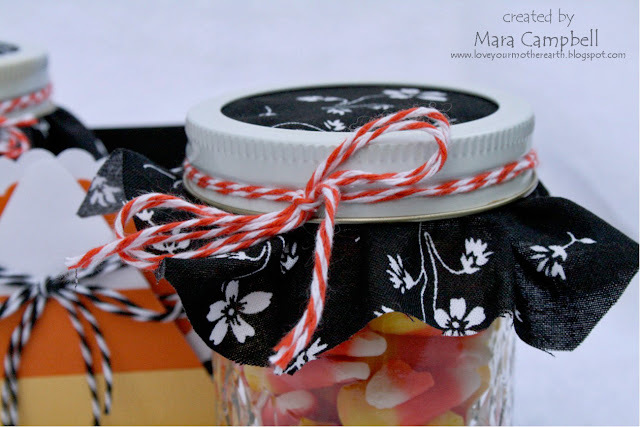 So I decided to make her this candy corn gift she can keep on her desk at work. So she always has candy corn at her fingertips! 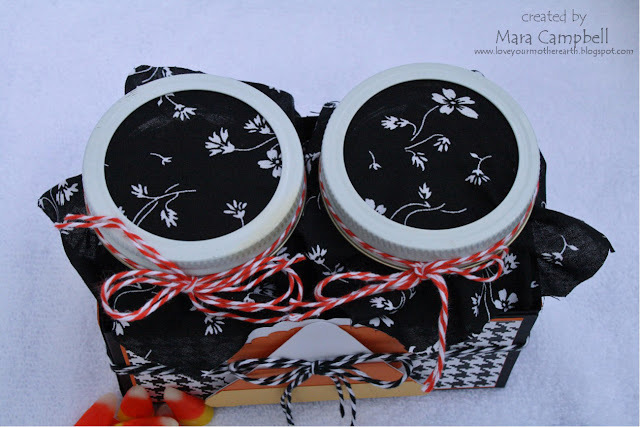 I learned how to make this box from my friend Beth. I took an 8 1/2 x 11 inch piece of black cardstock and scored it at 2 3/4 inches on all sides. I cut the end score lines and folded it up into this box. So easy! The box is big enough to hold 2 small mason jars. They don't really slide around or anything, it's a nice snug fit. 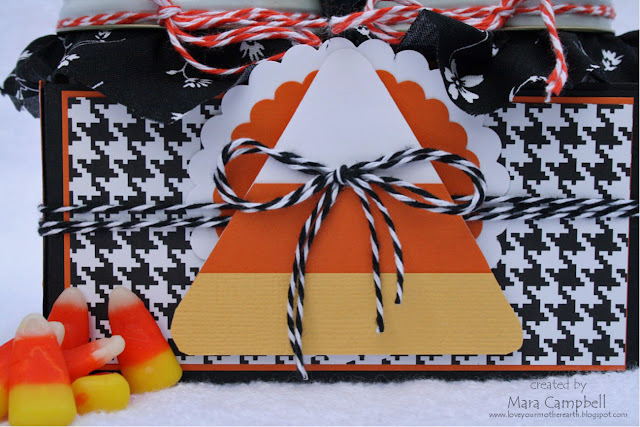 I created the candy corn on the front by cutting a big triangle on my Cricut. 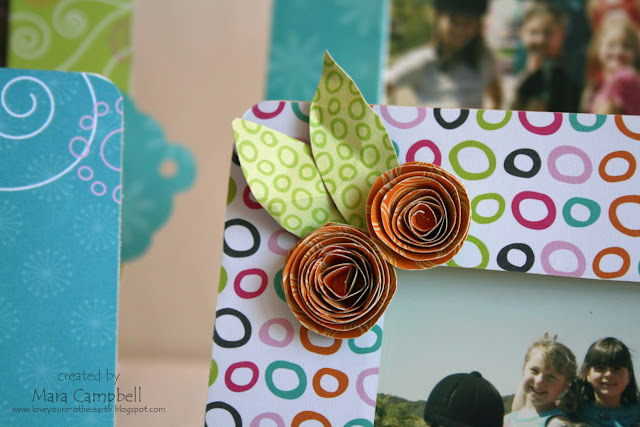 I then layered the orange and yellow cardstock on the front and trimmed up the sides with scissors. Instant candy corn! I cut a square of fabric to cover the top of the jar and then placed it on top. I screwed the lid down tight and added a baker's twine bow. And no gift would be complete without a matching card! 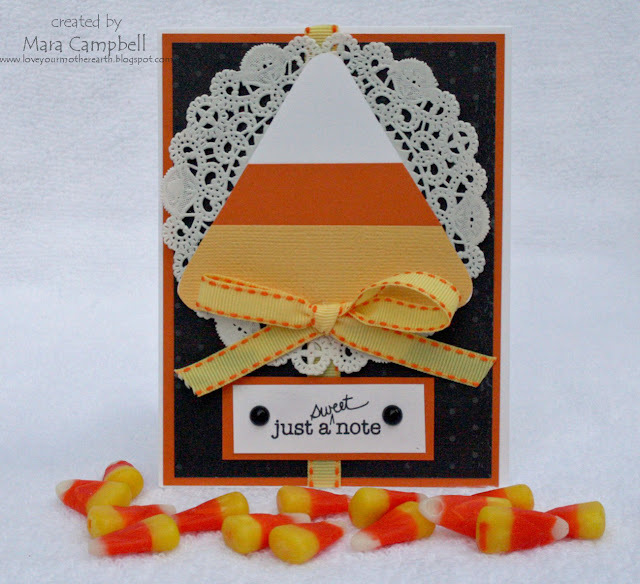 More candy corn!! I had so much fun putting this together! 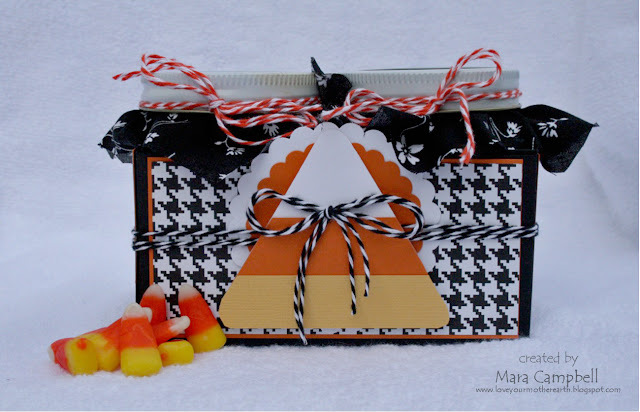 I dug deep into my paper stash to find that houndstooth paper. I have no idea who makes it but it was perfect for this project. 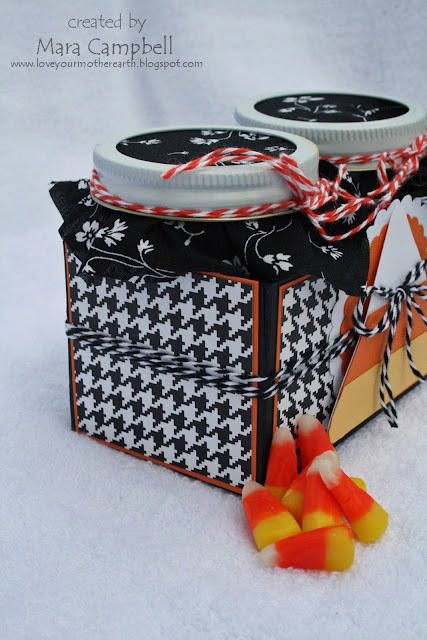 Now I want to know...do YOU like candy corn??? I am on a roll with challenges...two in a row! 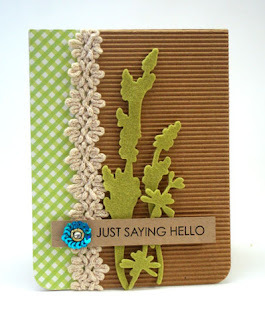 When I had the Momenta Ooh La La papers on my desk after finishing the retro sketches challenge, I realized they were the perfect colors for the CR84FN challenge this week. I pulled out some washi tape that I was happy to see matched the color combo. 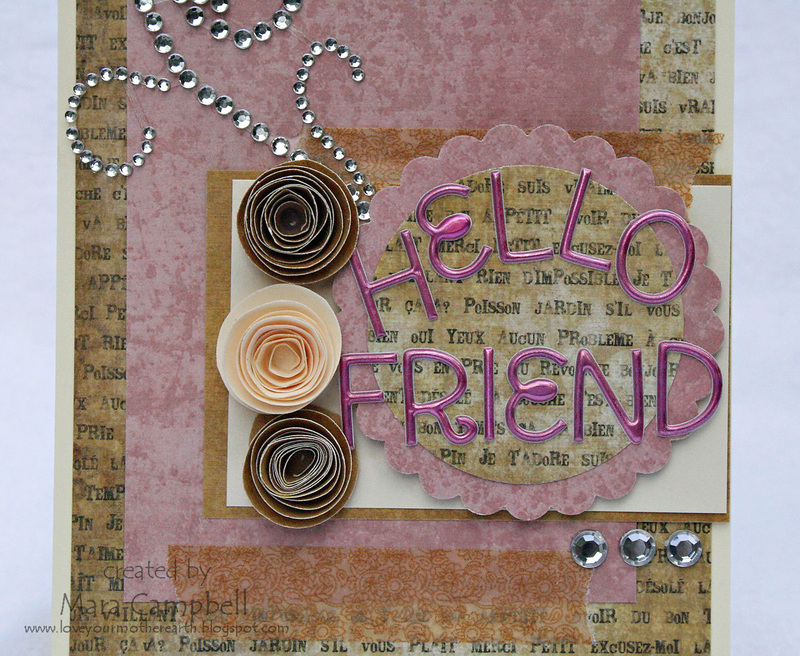 I also made 3 rolled flowers, added a bling flourish, and a pink sentiment! I am happy to be back participating in some challenges. I feel like i've been out of the loop for a few weeks, I hope I can continue to squeeze in some creative time this week! I used the new OOh La La paper from Momenta and combined it with some fun flowers, pink lace, a peral flourish and a Unity stamped sentiment. The colors of these papers are very vintage-y and I had a hard time photographing this card. The cloudy sky was not helping me with the lighting!! I hope you all had a fabulous weekend...hello Monday!! Isn't it pretty??!!! 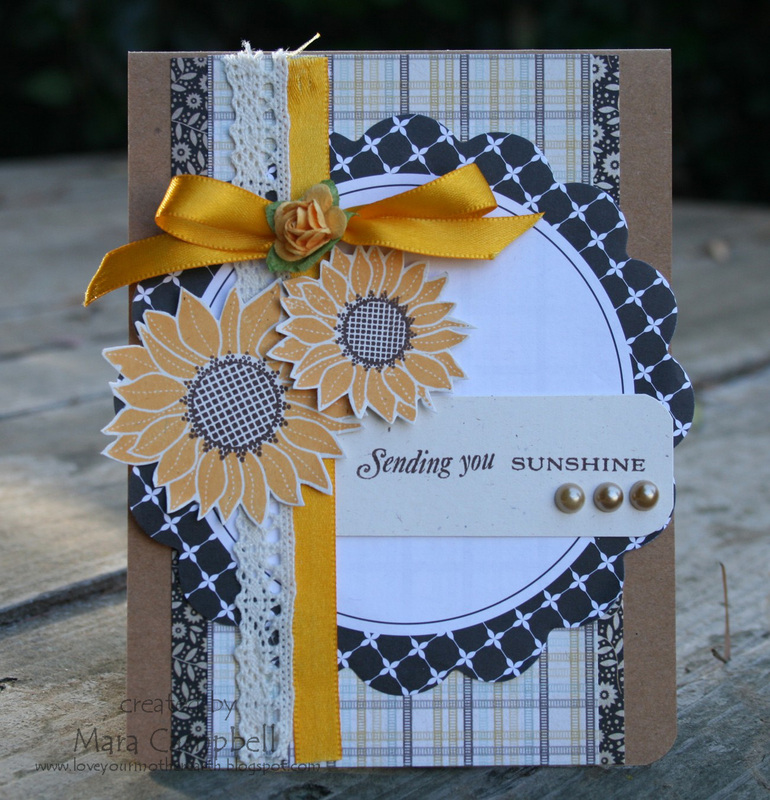 The yellows and the greys are so so pretty and I had a ball making cards! 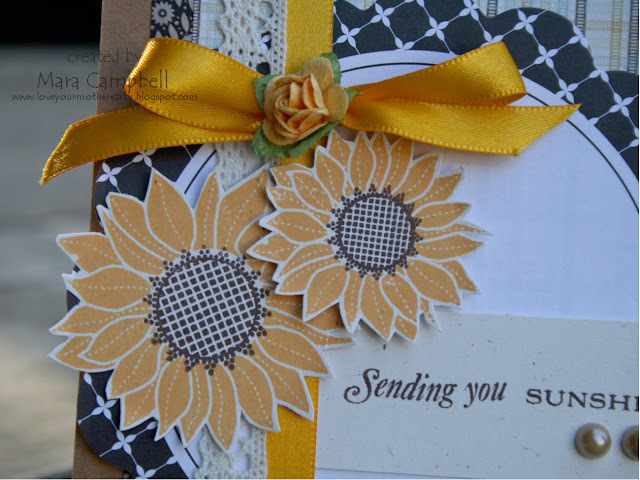 I fussy cut the stamped sunflowers and layered them with the pretty lace and yellow ribbon. 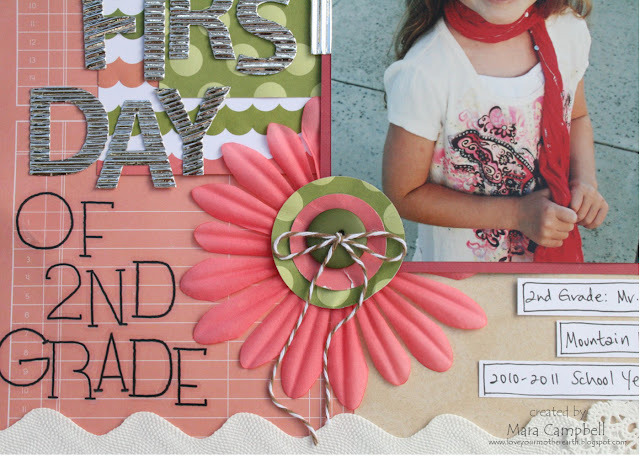 Beth included felt cut with a loopy die and my daughter and I had fun figuring out how to make this big loopy flower. 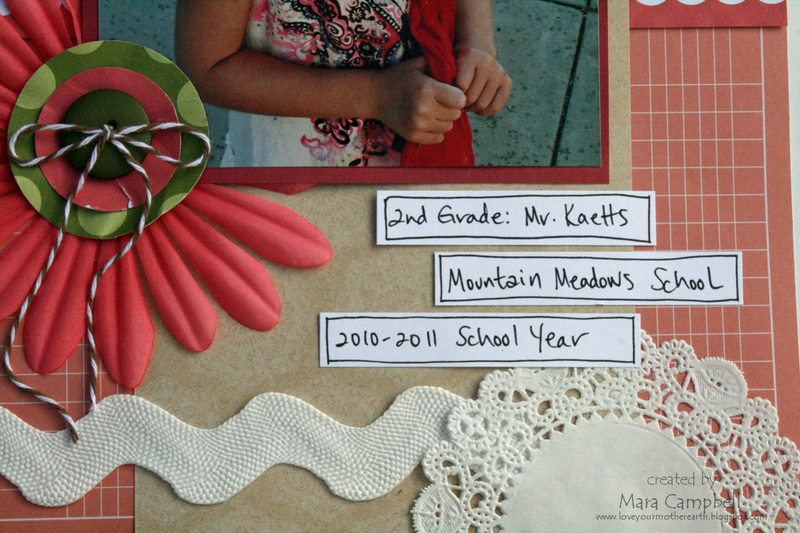 Beth added so many great embellies, like pearls and flowers and stickpins. I think I used all of these smaller flowers. 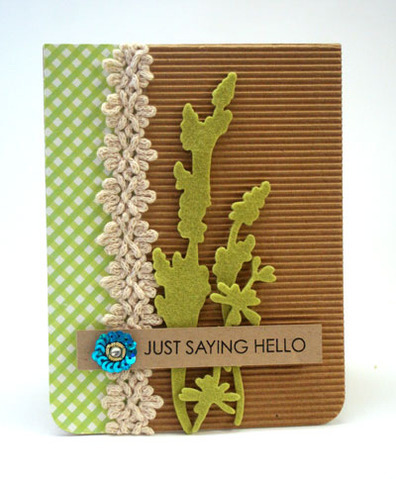 And here is my last card, I never got tired of using these gorgeous colors together. More fabulous flowers and baker's twine! I hope I didn't overload you with photos!! THANK YOU Beth for such an amazing card kit! 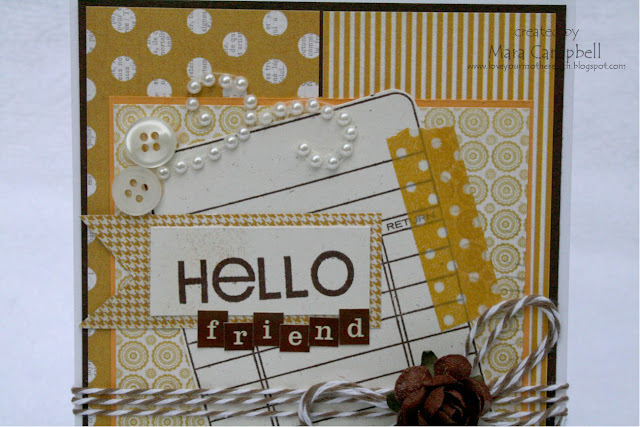 Please check out the cards of everybody else in our groups. I am taking a little break from the usual treats and sweets on the blog today to share this bread recipe. 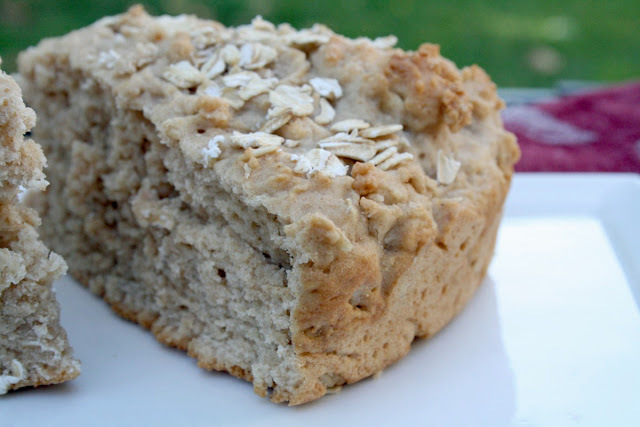 It's a Hearty Oat Bread and it's so good. It's a no-yeast recipe, so don't turn away yet! It's really delicious and thick and would go great with any fall soup or stew. It's a great combination of both white and wheat flours, with some oats thrown in as well. And some oats thrown on the top, too! I baked this bread in a 9 inch round pie pan and it came out great. I made this with minestrone soup and it was great. I also had it the next morning for breakfast with some honey butter and it was also great! It's the perfect fall bread recipe, especially if you are afraid of making yeast breads. This one is very easy. I hope you give it a try! Happy Monday! We had another great weekend of Southern California soccer and beautiful weather. I know, I sound like a broken record about soccer. Both my kids play and their season isn't over for another 4 weeks. I do love to watch my kids play! The weather was much nicer this weekend so it was a great soccer weekend. We also got our house all decorated for Halloween, we are in the spirit over here! 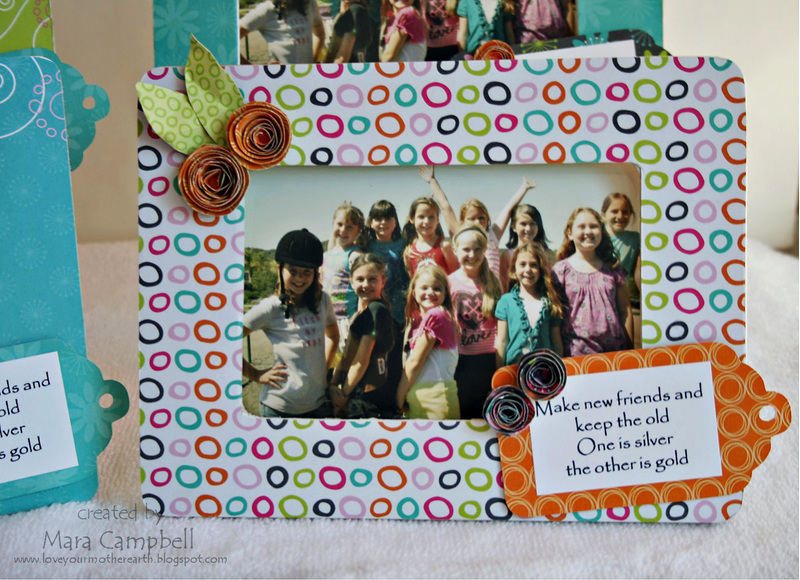 When my daughter bridged from Brownies to Juniors for girl scouts, I wanted to make friendship frames for all the girls in her troop. 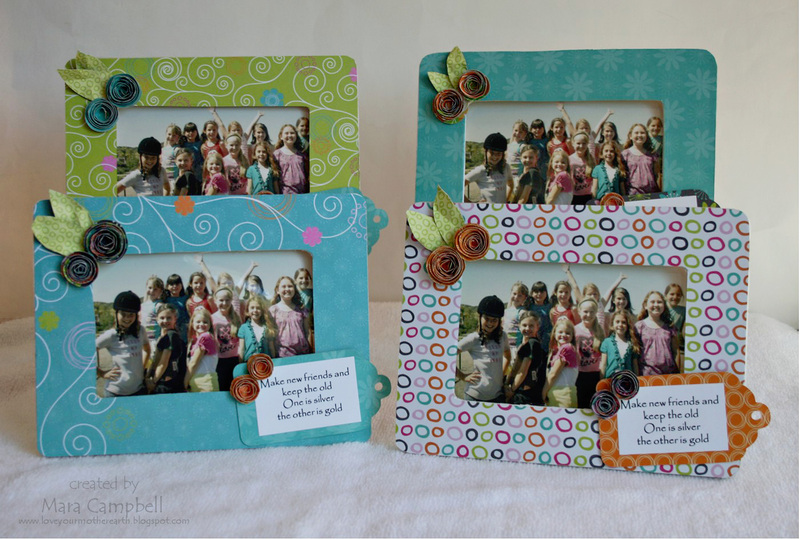 I dug into my Momenta Kaleidescope paper pack and created these frames for the girls. These are dollar wood frames from Michael's and I used mod podge to cover the front with patterned paper. I cut the tag on my Cricut and added rolled flowers to both the tags and the corner of the frame. I made 14 of these frames and when I was done making all those rolled flowers I swore I'd never make another one of those flowers again!! Ha ha! The saying on the tag is from one of the songs they always sing at the end of their meetings. My daughter put her frame on her nightstand, so I know she likes it. That makes all the rolled flowers worth it, for sure. I hope you all have a great weekend. Here's to a fabulous new week!! Is it Thursday already? This week is slipping through my fingers. We had some crazy rain today which ended up being pretty sweet because we spotted a double rainbow on the way home from soccer practice...which was in the rain. My son thought soccer practice in the rain was the coolest thing ever. 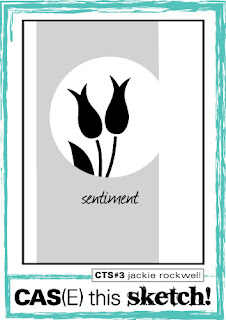 I have 2 Momenta cards to share today. They both feature their new metal embellishments! 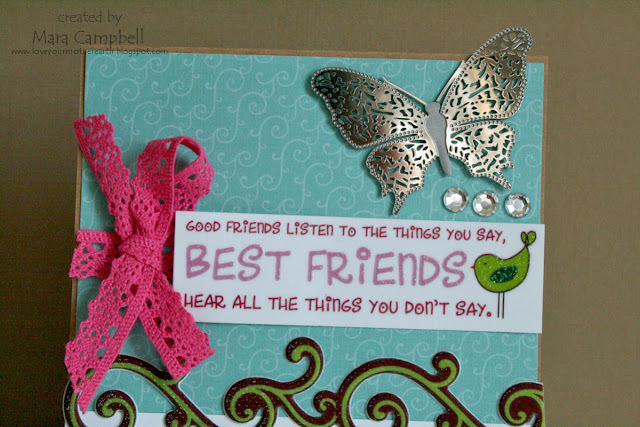 The metal butterfly is pretty thin and lightweight and it's self adhesive! I love that I don't have to hunt for some kind of adhesive that will work. It's already there. I also enjoy all the Momenta sticker sayings. 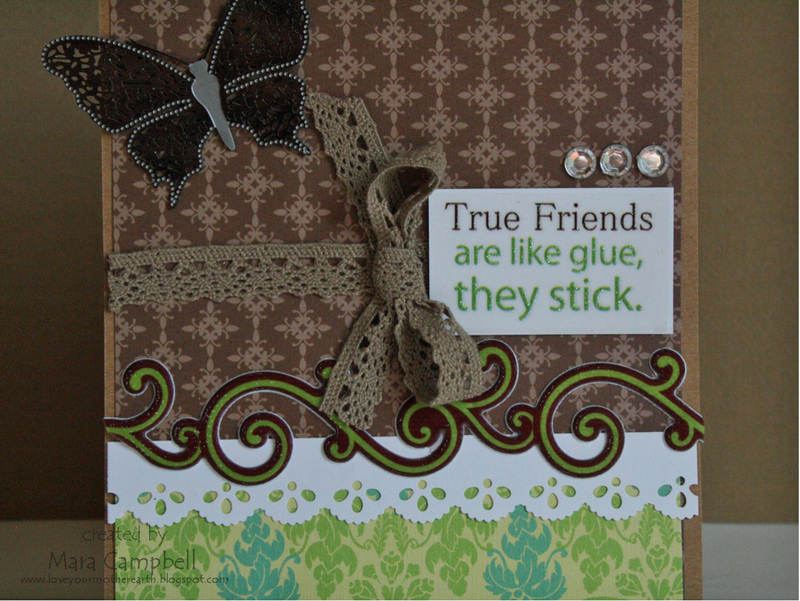 They save me time when I don't want to pull out my stamping stuff. And one more, using the same card design. I am really loving these butterflies!! That's all I have today. I hope you're having a great week so far...enjoy your Friday tomorrow!! Hi Everyone! I just got back from a lovely long weekend with my family. We rented a house in Three Rivers, which is right outside the Sequoia National Park. We literally had a river in our backyard and we did alot of fishing, hiking, rock scrambling, swimming, and exploring. It was wonderful! Now...back to the grind. And I would be seriously lost without my weekly calendar. I made this from a 12x12 photo frame, some Momenta paper, and my Cricut. I removed the photo mat and added a 12x12 piece of patterned paper from the Family Outings Momenta paper pad. I added two small strips down the side. I cut the letters for all the days of the week on my Cricut and adhered them to the paper. I put the paper inside the frame and then added some clear layered stickers to the corner. That's it!! It was super easy! Now it hangs in my kitchen where I can see it every morning. I update it on Sunday night and then I can pretend that I actually have a handle on my week. You could use any size frame for this project. I had a 12x12 frame hanging around just waiting to be used. And the great thing about glass is you can write on it with a dry erase pen and then just wipe it off. Yeah! I hope you all had a great weekend, thanks for stopping by today!! Woohoo Friday!! I hope you had a good week! The weather has finally calmed down a bit and i'm thinking fall might be right around the corner. 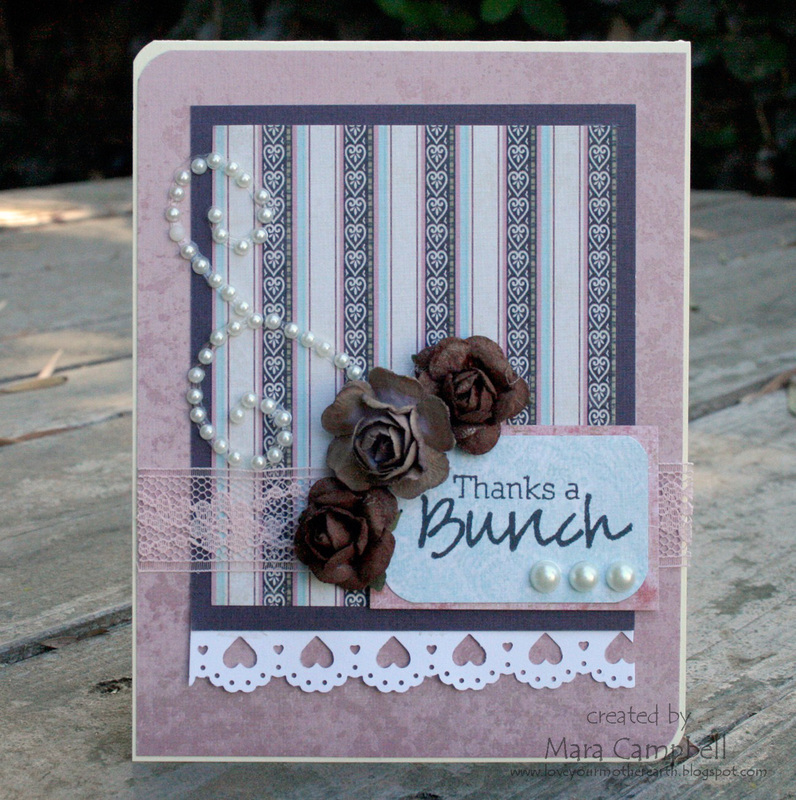 I've got a quick share today, I made this card for a friend who is going through some rough stuff right now. I am hoping to get it in the mail this weekend. These are new papers from Momenta. 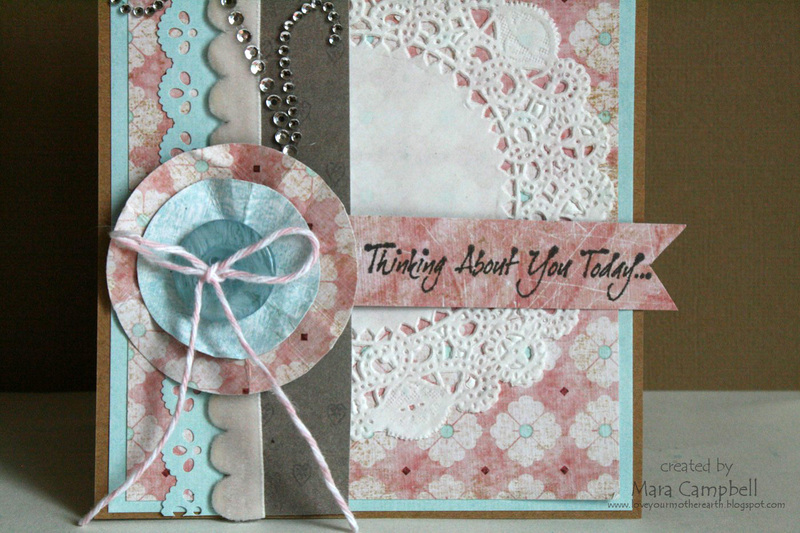 It's called Ooh La La and I love the blue and pink combo together. 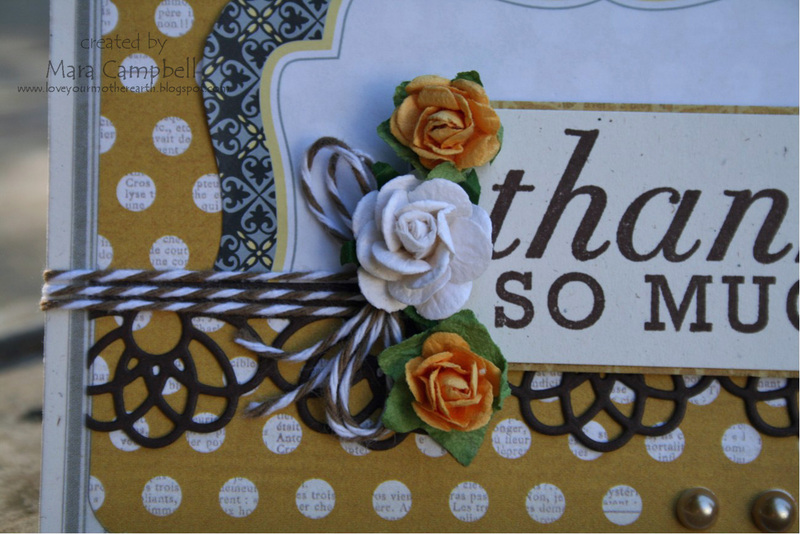 I punched out some circles to create a flower, added a doily and some bling, and stamped a sentiment from Unity Stamps. 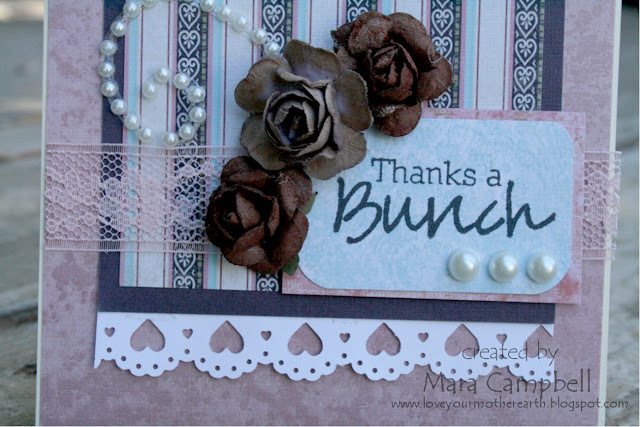 That's all I have today...I hope you all have a fabulous weekend...thanks for stopping by today!! In an attempt to let Mother Nature know that I would *like* some fall weather around here, I baked something fall-ish. I have not broken down and bought pumpkin yet, but apples are another great fall item to bake with. 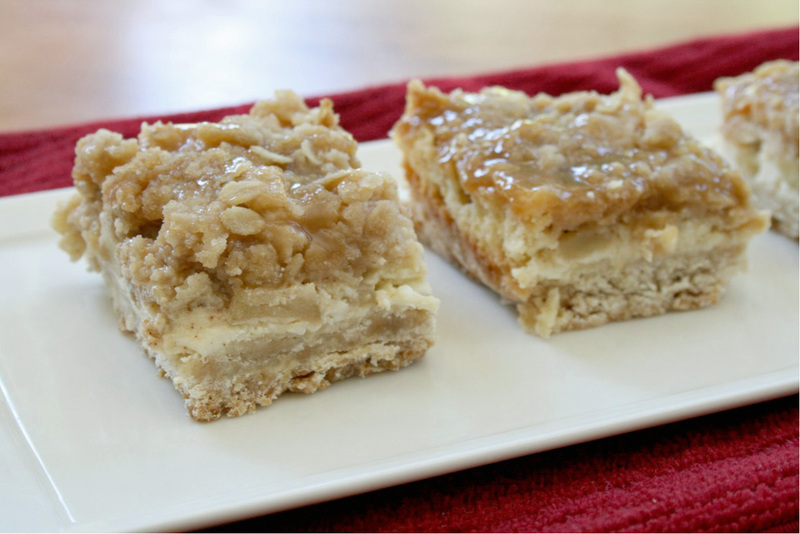 Add some cheesecake to those apples and you've got yourself a dessert. 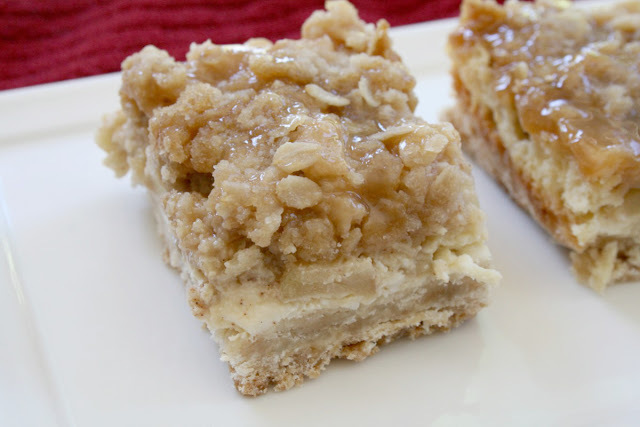 The crust on these bars was amazing. I could have eaten a plate of just the crust it was so good! The cheesecake layer was delicious and the caramel drizzle on top was equally delicious. We even added vanilla ice cream on top, although I don't know if that is proper cheesecake eating technique. 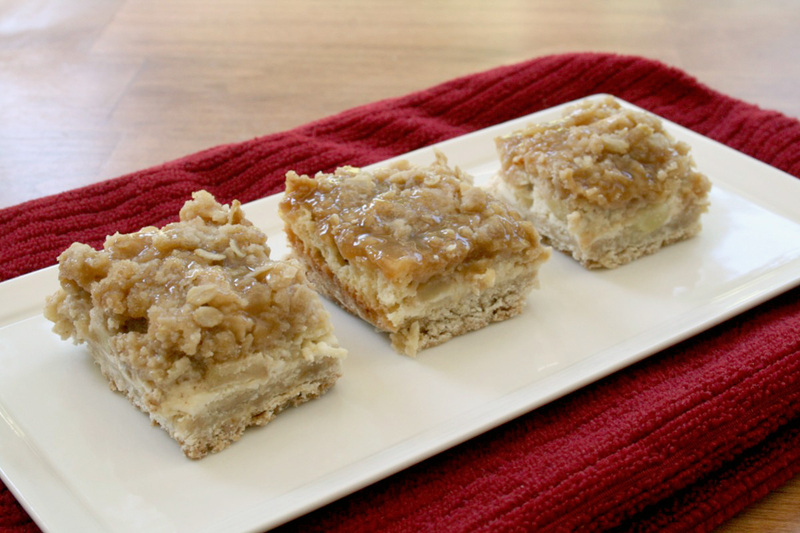 Here is the recipe: Caramel Apple Cheesecake bars on the Cookies and Cups blog I hope Mother Nature likes apples. Holy heat, people!! It was so hot today, it hit triple digits. Can it please just be fall already?? Please? I'm kinda done with this heat, especially since there is no time to enjoy it at the beach lately. 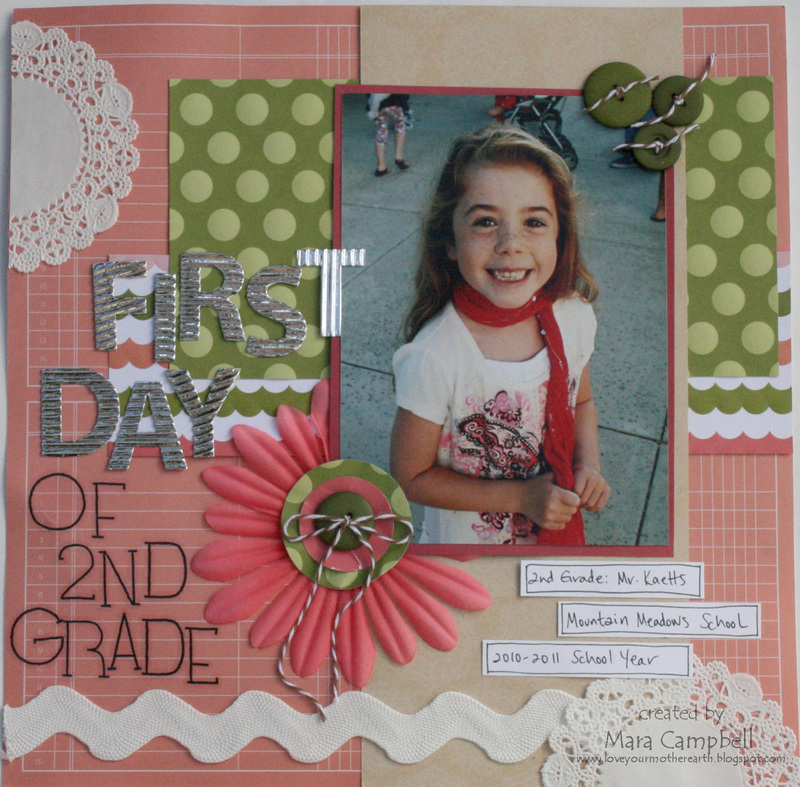 To hopefully entice fall to come and stay for a while, i'm sharing another back to school (from 2 years ago) layout. I found some Pebbles papers in my stash that I had forgotten about and thought they were perfect for scrapping this photo. I loved that my daughter decided to wear her scarf on the first day of school! Isn't she a cutie?? Her hands tightly holding the scarf give her nerves away! 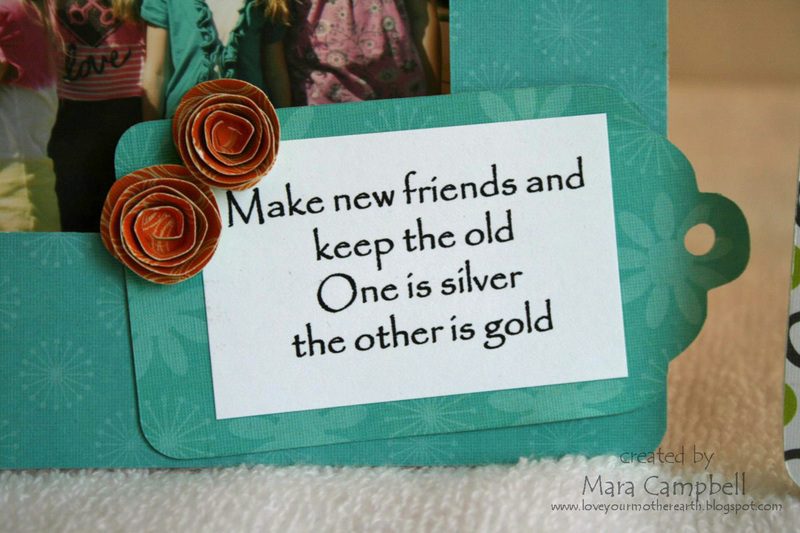 I love these corrugated silver letters, they are by Momenta. The sticker letters are by Pebbles. A nice match! 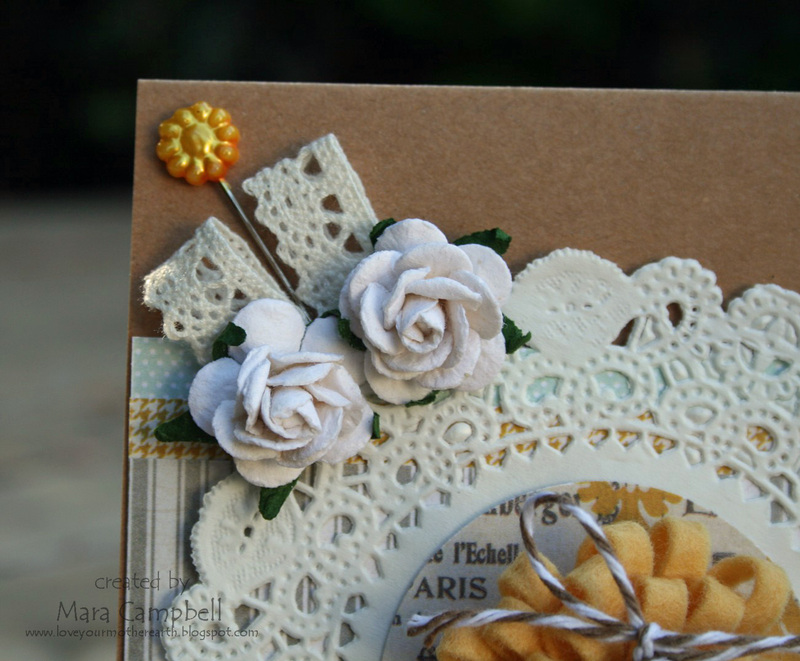 The Pebbles kraft paper has a faint doily pattern to it so I scattered a few baking doilies on the layout. I didn't do much journaling, just the facts! I hope you are not suffering from terrible heat right now. It seems like summer weather skipped us over this summer and decided to land smack at the beginning of October. I can't wait for a little bit of fall!